Teach Piano Sight Reading Successfully - Part 2: Survival! This time I'd like to explore ways to counteract common sight reading problems and how to increase your students' confidence in it. There are times when a pianist will be faced with music that is beyond their fluent sight reading capability. In fact, outside the controlled environment of the studio and practice room, this is almost unavoidable. Exams are one example, and I will talk about dealing with the test, but our Useful Pianist is likely to get requests for ad hoc accompaniment, playing at rehearsals, school assemblies and so on. Refusing to play is an option, but Not Useful! Quick study practice should help in situations where there is a chance to try it out first, but there will still be times when pure on-the-spot sight reading is needed. In order to develop this toolkit, there are some tricks to be practised outside of the crisis zone, alongside the slow build-up and the quick study. For this you can use almost any music at all, in fact the more variety the better, because this is about dealing with the unexpected and the daunting. Song or solo instrument accompaniments are ideal, as are any types of music that are likely to crop up (hymns/worship songs, singalong books, chamber music). We are going to play slightly difficult music in fairly disrespectful ways! When you see a scale pattern, do your fingers know what to do? Does the left hand reach automatically for the chord roots at cadence points? This use of patterns is part of the "geography" aspect of playing which I covered in an earlier article. For sight reading practice, this means doing a lot of flashcard-type work, reaching for notes and shapes with no time to over-think. As part of this, we need to focus on the link from seeing it to moving the fingers into position, without the distraction of actually hearing the result. If playing a digital piano, you can mute the sound and use the keys; on an acoustic piano lower the fallboard or key cover and play on that. You will be surprised at how much awareness there will still be of the finger shapes needed for black notes, chords and melodic outlines! This silent approach has the advantage of producing no wrong notes, although quite often the student will know they have not made the right shape and may even (rather absurdly) correct their fingers! If this happens, have a gentle laugh about it but don't encourage silent corrections - if they can't get the shapes easily, the music is too difficult and you need to pick something simpler. I once had a student who lacked confidence in her sight reading despite being potentially rather good at it. One lesson, I put a graded test (at the grade she was preparing for) in front of her on the digital piano and asked her to play it whilst I listened on the headphones. Unaware of how she sounded, she got on with playing all the shapes she could see and kept going. It was excellent and had nearly all the right notes! Excitedly I unplugged the headphones and said "That was almost perfect! Play it again just like that and you'll hear it for yourself!" As soon as she started to play, every little slip and omission, which she could now hear, halted her and she stumbled through with her usual difficulty. It was this disappointment (for both of us) which spurred me to build in "silent sight playing" as part of my curriculum. Or "The Atonal Version". Another fun way for them to lose inhibitions about wrong notes is to adopt a completely casual attitude to the actual pitches and concentrate on playing the shape, rhythm and approximate texture. It is like an audible version of playing on the lid, with special care not to mind about the sound. Again, it helps to release the student from the hindrance of wanting to play "correctly" (i.e. with all the right notes at the expense of everything else) and brings them to accept that the pitches are only one aspect of correctness. If they accidentally play the right notes, that is fine too! They will almost certainly get better at playing more accurate shapes as time goes by, but need to feel relaxed about it - it's a bonus, not a goal. A special effort may well be needed for the bass line: it's played by the oft-neglected left hand, it's in the (maybe less familiar) bass clef and it could be jumping around. Yet in many Useful Pianist situations, the bass line is exactly what is needed. A singalong of "Happy Birthday" or any other familiar social tune does not require for the pianist to support the singers by playing the tune - they all know it! The value added by the piano is first in the bass line and then in any chords you can fill in. This is often also the case when playing for a solo instrument, depending on the style and complexity. It is certainly a good rule of thumb to prioritise the bass line and then, if there is time and brain space, to look for what else might be musically useful, such as chords (including broken chord patterns) and notes given in the solo part as cues for their next entry. Keep a stock of music with strong bass lines and chord patterns, and make it part of their regular sight reading practice to play only the left hand part, in time, and if necessary with both hands to enable those jumps. In the long term, they will learn to recognise when a piece of unfamiliar music might need to be played this way. One eminent teacher I worked with, who happened to be an outstanding sight reader himself, said, "The trick is knowing what to leave out". Although this is true, it doesn't get us very far when the wave of panic blurs our decision-making capabilities, as bar after bar rushes past. So I left this advice to one side, until one day it miraculously teamed up with another remark from many years previously, when I first joined a rather good local youth orchestra. I was sitting at the back of the cellos in a rehearsal, failing to keep up with a welter of notes, and the conductor looked across and said, "You at the back of the cellos, just play on the first beat." This immediately liberated us from most of the notes on the page and enabled us to make a useful contribution to the orchestra. So make sure your students know they have permission: when prioritising the pulse, the quantity of notes played is less important. 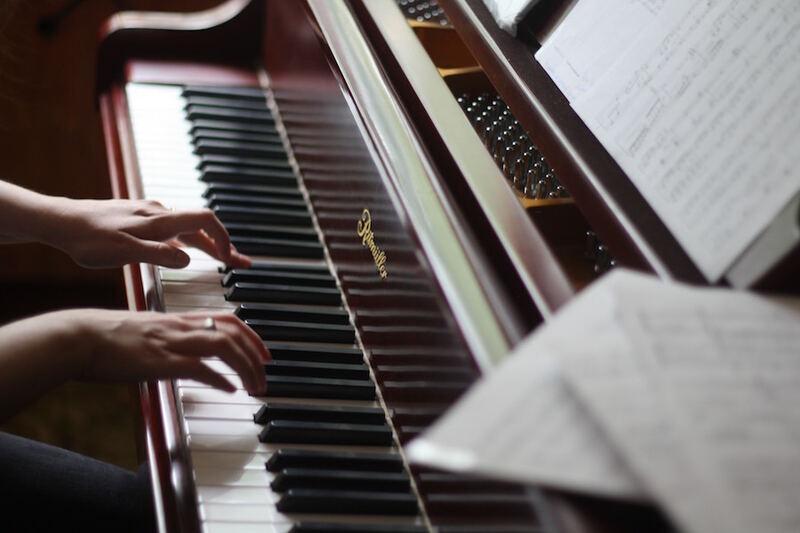 This goes against most people's instincts because learning a piece requires close attention to detail (but usually at slow speed, which is why problems arise with full-speed sight reading). You can explain to your students that the habit of correcting mistakes whilst sight reading is as pointless as a hurdler in a race stopping each time they knock down a hurdle and picking it up before continuing the race. What the sight reader needs to learn as a new skill is the ability to ignore printed notes as they go along. This is the only way to keep up with the relentless progress of the music through time. Playing on the first beat only, counting constantly, and ignoring everything in between, is the first step. The deal is that in return for freedom from all those other notes, they MUST guarantee that they will play correctly and in time on the first beat. This is not difficult as long as they force the eye straight past the contents of the bar to the next downbeat, and use all the time in each disregarded bar to prepare their fingers. Even this is quite hard work at first! But they will get used to the dual task of counting whilst preparing/playing/moving on. The music that you use for this can be almost anything you like since most of it is not going to be played, but of course the bits they will have to play should be within the reading capabilities of your student... huge chords with lots of accidentals may not be suitable. Also anything that has an unclear first beat (rests, tied notes, clef changes) should be avoided. We are trying to get them to succeed rather than experience further frustration and failure. So choose appropriate key signatures, time signatures and styles. Even including a new key signature could be enough to give them an extra week's material. Eventually they will be good at this and ready to take the next step, which is to add anything they can play without extra effort. They may already be doing this instinctively. This kind of thing will be right there at or just before the first beat, will lie under the hand and be a shape or pattern that they can just throw in because their fingers already know what to do. Don't push this too hard, but in the lesson you can demonstrate, perhaps going over one they have just shown they can play, and filling in fragments with commentary ("a little run up here.... this is a broken chord...you can resolve this appoggiatura...") or if there is a really predictable bass pattern you can put it in, always with permission to stop playing these extras if there is any danger of losing the guaranteed first beat. This means that whilst still ignoring many notes they are widening their awareness of what is there, processing what is possible and linking visual patterns with instant finger responses. Meanwhile, they are slowly improving their pattern recognition via the slow route that we covered earlier, and improving their ability to assimilate music at short notice through quick studies. In lessons, rather than putting the student on the spot with "OK, sight read this for me today", give them support and cover by playing duets. Choose your duet books carefully (see my previous article) and keep it light hearted. 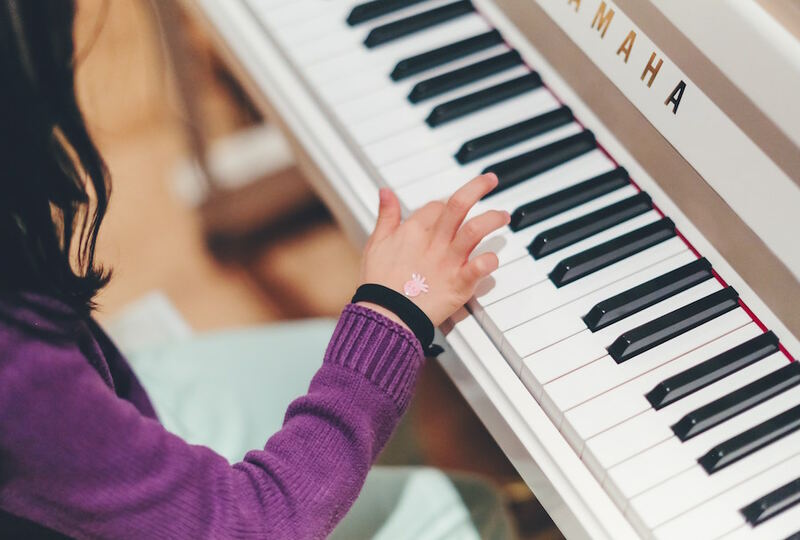 Children often like to replay successful attempts, and that is worth doing in the lesson - personally I find it fun too, as it really feels like making music together. Get the student to do the counting-in: it is a very good way to instil a habit of checking the tempo and imagining the first beats before launching into the music. You can discuss how many bars to count in, what to do if there is an anacrusis, and what to do if multiple bars' rest are notated. If their starting tempo does not match the count-in, you can reasonably point out that it's impossible for you (their duet partner) to join in if they do something unexpected. So there is much to be learned about musicianship as well as sight reading by building easy duets into your lessons. Paul Harris has produced graded "Improve Your Sight Reading" duet books which are very useful at the elementary stages. Playing alternate bars is another way of practising ways to ignore notes and keep going, but the challenge has shifted towards playing about half the actual notes, in groups as notated. The pressure of so many notes is reduced, however, and the brain learns to stop and start in a controlled way. For this, choose a level of music that is just a little bit too difficult to play at sight well with both hands all the way through. However, playing hands together must be properly achievable. Advise your student that they should play a bar, treat the next bar as a whole bar's rest, play the next one, and so on. Whilst counting the unplayed bar, they should be reading the one after that and getting ready to play it. This is a low-pressure variant on the old-school trick of covering up the bar just as the student is about to play it. I always hated having that done to me, and I believe it is actually unhelpful to development because the eye sometimes legitimately needs to flick back to make a comparison or check a detail. This can also be done at home, once the student understands how. Music at around the level of the quick study, or easier, should be about right. Finally, there are those students who have just not made it to the required standard in time for their exam. Whatever the reason, you need to defuse their anxiety about the imminent test. As they try out specimen tests at their grade in the lesson, notice what seems to be the main problem. It will likely be one of the issues already mentioned, such as bass reading or managing two parallel lines of notation and two hands. Playing only on the first beat will not help - that is an ensemble or practice hack - and alternate bars do not produce a musical result, so something else will have to be jettisoned. Given that the ABRSM awards up to ten marks for playing nonsense (which is roughly how the exam marking criteria translate out of examiner-speak) the first thing is to reassure them that they should definitely play something. 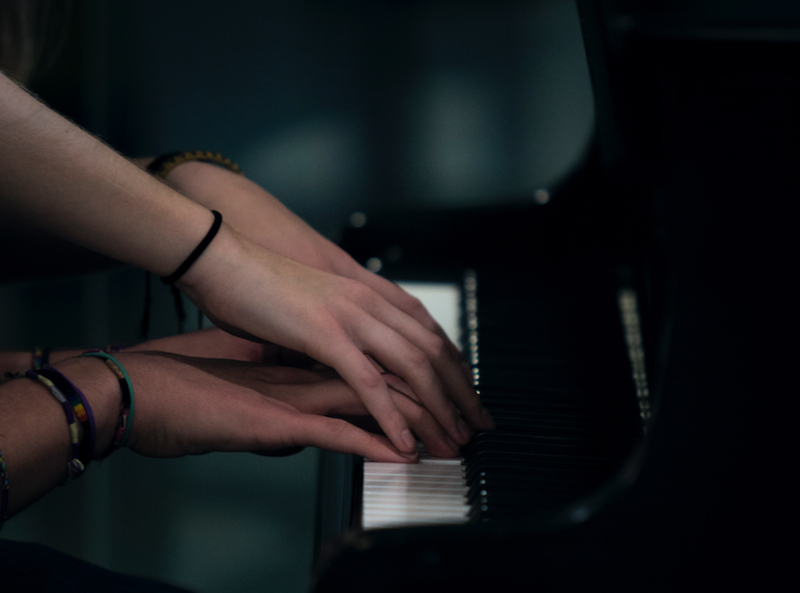 If they can play in the right key, and in the right rhythm, but not with both hands, advise them to find which hand has the melody and concentrate on producing a good version of that, with a tiny bit of hands-together at the beginning and the end just to show willing (and make it more musical). And if sometimes what comes out is confident rhythmical rubbish, at least it will sound confident and rhythmical! What to do when you start collapsing into a vortex of wrong notes? Give up on them! Force the eye away from the immediate bar and look for something you can definitely find and play correctly. Keep counting! Having practised playing nonsense on purpose, the student will be able to bluff a bit whilst turning their attention forwards. This ability to manage the attention, avoid panic and select a new place to start is a life saver in any sight reading situation. And remember - in the long term, sight reading is a genuinely useful piano skill, well worth cultivating. Daily attention to it, not as a doomed exam-related chore but as the fun and intriguing business of playing new music, will bring real improvement and - most importantly - confidence. Buy E-MusicMaestro Learn to Sight Read: Piano Book 1 and Book 2. Book 3 coming soon!